Σε πολύ καλή τοποθεσία της Γκόα, το Club Palolem είναι μια πολύ καλή βάση απ'όπου μπορείτε να εξερευνήσετε την σφύζουσα πόλη. Σε απόσταση μόλις από το κέντρο της πόλης και από το αεροδρόμιο, αυτό το 3 αστέρων ξενοδοχείο προσελκύει αρκετούς ταξιδιώτες κάθε χρόνο. Με την βολική του τοποθεσία, το ξενοδοχείο προσφέρει εύκολη πρόσβαση στους προορισμούς της πόλης που πρέπει οπωσδήποτε να δείτε. Το Club Palolem προσφέρει επίσης πολλές εγκαταστάσεις για να εμπλουτίσετε την διαμονή σας στη Γκόα. Αυτό το ξενοδοχείο προσφέρει πολυάριθμες εγκαταστάσεις για να ικανοποιήσει ακόμα και τους πιο απαιτητικούς πελάτες του. Το ξενοδοχείο διαθέτει 6 όμορφα διακοσμημένα δωμάτια, πολλά από τα οποία περιλαμβάνουν επίπεδη τηλεόραση, καθρέφτης, ιδιωτική είσοδος, πετσέτες, ντουλάπα. Το ξενοδοχείο προσφέρει φανταστικές εγκαταστάσεις, συμπεριλαμβανομένων των γήπεδο μίνι γκολφ, κήπος, για να σας βοηθήσουν να χαλαρώσετε μετά από μια γεμάτη δράση μέρα στην πόλη. Όποιος κι αν είναι ο σκοπός της επίσκεψης σας στη Γκόα, το Club Palolem είναι μια εξαιρετική επιλογή για μια χαρούμενη και συναρπαστική απόδραση. It was very good time. Its not directly connected to beach. Very nice view an cleanliness. 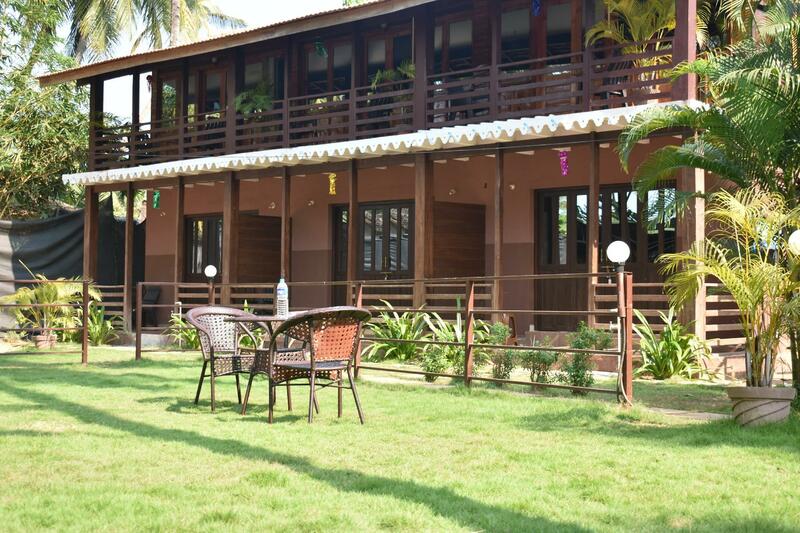 Stayed here in February 2019, it is situated in a quieter area of Palolem just 1 street off the beach. Great place, lovely staff. Would definitely recommend Club Palolem and would book again next time . There is nothing wrong with this place but it is about a 4 minute walk to the beach. Easy walk but we discovered that you could get similar cabins for less money in the resorts right at the beach. When I was booking this cottage — it showed me wrong location , this is not at all on beach — even there is no sign board or any board on entrance and little difficult to locate — it takes you more then 0.5 kms walk to the beach. Another negative part is - there is no kitchen , they only have small setup that provides only breakfast to you. There is no bar or restaurant where you can order . Though cottages are well maintained and is peaceful place as shown in pics but location and restaurant is most desirables things we look for and that it was lacking. With the price I booked for 3700rs - it was not at all worth , I could have got much better cottages on beach itself in price lesser then this. Very near to beach few steps away and you are on the beach. Very neat and clean room. Clean bathroom. Helpful staff and well beahved. Breakfast spread was limited but fresh. Small and cute place to stay very soothing and pleasant stay we had. Would definitely recommend it. First of all, the staff here is super helpful. I needed to go to the ATM and get some medicine. Ravi from the hotel gave me a ride on his personal vehicle and ensured I got everything done. Now, coming to the hotel, it wasn't exactly on the beach, but it hardly took us 20-30 steps to get to the beach itself. However, with that in mind, the place should be cheaper. There were a lot of problems with the room first allocated to us. For some reason, the Ac temperature could not be adjusted. Also, every tap in the bathroom, including the jet-spray would spew hot water of its own will. Our room was promptly changed once we informed the manager of the situation, however, the new room didn't have the hot water supply. Apart from these concerns, the place itself is nice and cosy. It is perfect for people looking to stay away from the activity of the beach, but never too far from it. Staff was polite and helpful. The rooms were decent and clean. Hot water is available in the day time only. The restaurant food is nice, but options are very limited. Stayed in Club Palolem Beach cottage for five nights. The place is cosy and peaceful except for a night when a group of locals created ruckus till late midnight. We couldn’t sleep the whole night. Next morning though the manager apologised himself and felt sorry for the events. Cottage has all amenities like AC, electric kettle, refrigerator and hot water. Refrigerator is very useful in Goa. They provide complimentary breakfast with limited options. You may choose between bread omelette or butter toast; idli or bread pakora along with cut fruit (watermelon) and pineapple juice. You may have tea or coffee as well. Overall we enjoyed our stay here. 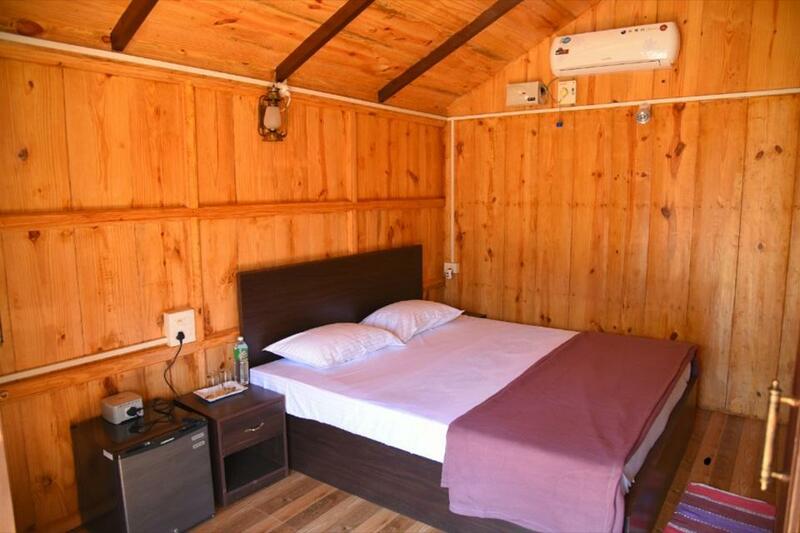 Set back behind another beachfront resort club palolem has modern wooden huts in good order with a nice bathroom and shower was very good with hot water. It was nice and quiet at nighttime and the staff here are very friendly and extremely helpful. Pros - Fantastic cozy environment created inside this resort. The lawn with swings in the middle of the resort actually a good stress buster. The staff is very good. Extremely clean cottages and every corner maintained amazingly. 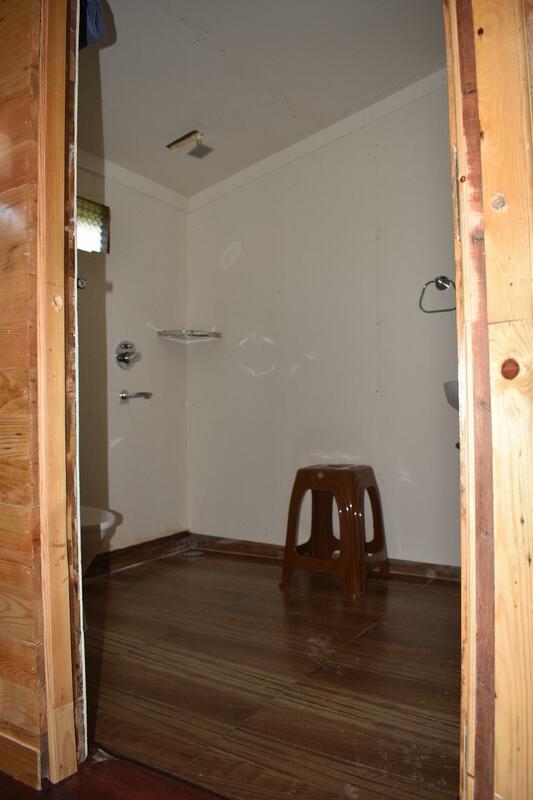 The toilets are pretty big and highly maintained. The sitting arrangements outside the cottages are very relaxing. Cons - Very near to sea but no glimse of sea. That is particularly a bit disappointing as sea view cottages are also available in other properties. They should have a restaurant for dinner. Though plenty of options are available at the beach side and you will prefer having food or drink at beach only. Breakfast was very basic with 2-3 options. But its enough if you dont want to have a heavy breakfast. The place does have breakfast options, but the lack of restaurant really bites. There are food options within 2-3 minutes walking distance, but sometimes after a day of being at the beach, you don't want to dress up to go out and eat. The staff simply told us that they can't get food from outside, while other reviews had suggested that they can. So i guess something changed. Another thing is that since breakfast is in a college canteen kind of kitchen, if a large group decends, you will be waiting for a good time to eat. When the guest number was low, the breakfast was idli etc. When a large family came in, we ran out of tables (ony 4 tables). The Idly finished before we could eat, and the hotel somehow managed. The next day, the breakfast became pav bhaji. So the breakfast though available is very slow. Anything like eggs omlette will come at your table but in its own time. I want to call out to one hstaff, i forget the name who is a superman. He cleans rooms, cooks, provides things. Had to request for towels as they were missing on 1st and 3rd day. Frequent power fluctuations. First day breakfast had just bread omlette and bread butter. Next day idli was provided which was hard as stone. Last 2 days there was no hot water as solar malfunctioned. Basic but everything that you could need, the photos don't do it justice. Nice quiet surroundings, with a pretty garden slightly away from the beach. Helpful staff and nice breakfast. We lived in Club Palolem for 3 weeks. In the first days there were problems with the number, so I do not recommend living in 1 bungalow. But the hotel manager decided everything the next day, and we moved to another house. The territory of the hotel is clean, well-groomed and beautiful. It's quiet and cozy there. Staff excellent! Very friendly guys! Breakfast is always fresh, as prepared on request. The hotel and the staff left the warmest memories of our stay there! Excellent AC Cottage with Small Freeze ,TV and a Clean Bathroom. Only 2 min Walking Distance from Beach. Staff was very helpful. Small Property with 6 cottages but Good for Couples. Located away from the busy area, but has quick access to the beach and a few restaurants. The rooms are nice and looked brand new. The best part is the bathroom. It's huge!